Vintage One: 20 years of Mtn Bike passion and counting. : Can a car be a soulmate? 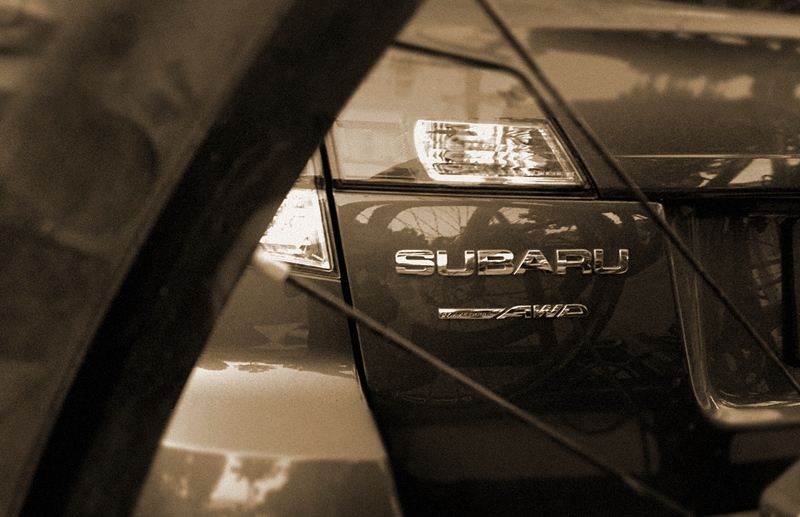 I cannot remember ever feeling this way about any other car, but going back to the beginning of the model line, the Subaru Outback wagon always caught my eye. It looked like it celebrated all the things I thought were neat in a lifestyle...a bit of practicality, a bit of adventure, and a bit of style that was counter to the Fast and Furious way of thinking about cars and life. Not once would one go by on the road and not rate a long glance; a follow with the eyes and a swivel of the head. I was smitten, but at a distance. A recent trip to Vail, where Subaru is considered the "Official State Car of Colorado", I bet every 3rd car in any lot was either an Outback or a Forester. I was in agony, driving around in the family truckster Mazda 5, and I whined incessantly about it, much to the chagrin of my wife. But God was gracious and I am now among the ranks of Outback owners. I could hardly be more pleased. She's a beaut', she is. Soulmates, we are, or at least from my viewpoint. How she feels about this, I cannot say for certain, but I suspect she feels the same.